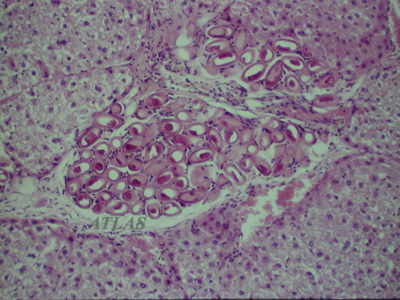 Eggs of Capillaria hepatica in rat liver. 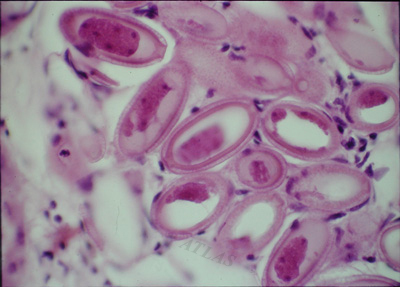 A least inflammatory reaction says it is at an early stage of the infection. x100. 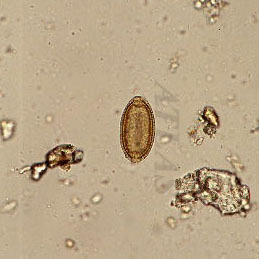 Eggs of Capillaria hepatica sectioned in all angle shows the striations in egg shell, a diagnostic feature of the egg. x400. 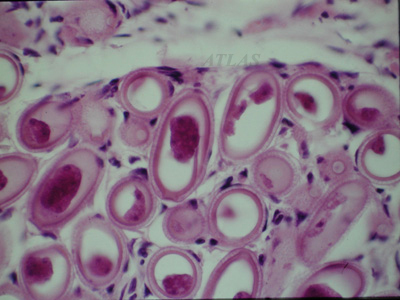 Sectioned eggs of Capillaria hepatica in rat liver. x400.